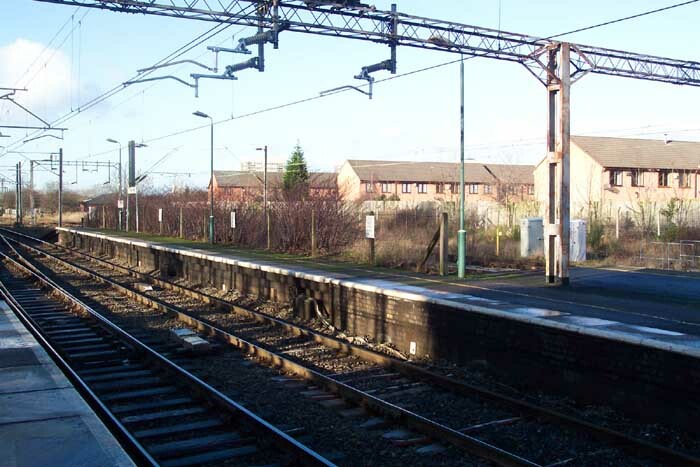 Stechford station opened in 1844 under the London and Birmingham Railway on the eve of their 1846 merging with the Grand Junction Railway and the Birmingham and Manchester Railway to form the London and North Western Railway (LNWR). In terms of historical interest Stechford is somewhat of a let-down. A significantly large amount of period features have been removed and thus its interest in terms of a site of historical interest are diminished. 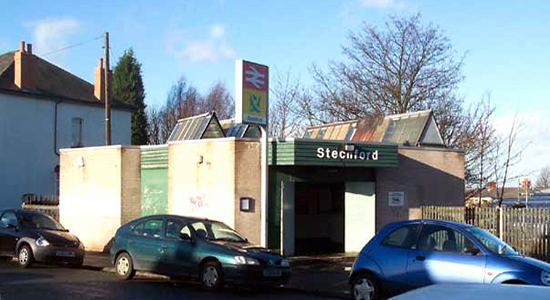 However, above we see the current station building at Stechford on Frederick Road which follows the 'fallout shelter' approach to station building - and is a sad replacement for the original station building which sat astride the centre lines on the Station Road overbridge. From this entrance there is a steep staircase drop down the side of the embankment, the bottom of which puts you on the lifted trackbed of the relief lines. 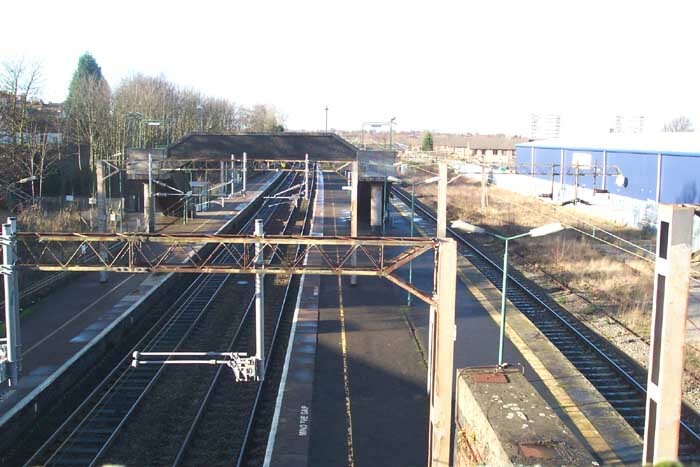 Above-right we are on the Station Road bridge standing exactly where the original station building once stood - bottom-right of the photograph you can see remains of the brick pier which once supported the station entrance. Ahead is the footbridge and to the left you may just be able to discern the entrance staircase and pathway. 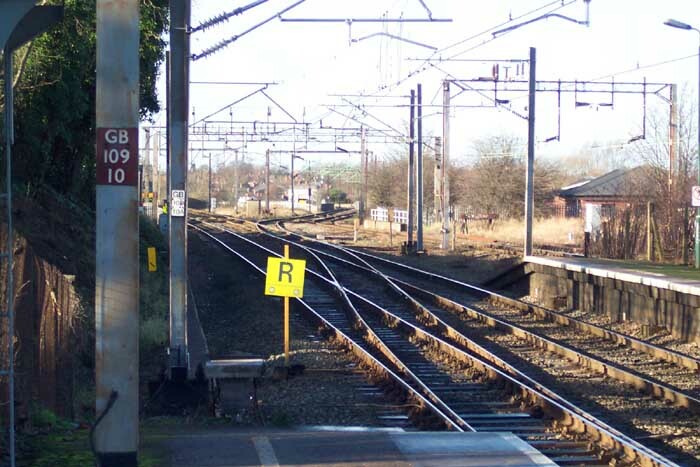 It should also be apparent that the width of the site far exceeds its current usage which signifies some shrinkage - or 'rationalisation' in BR parlance - has taken place over the years such as the removal of sidings on the right-hand side. Above-right we are on the Birmingham platform looking back at the Station Road bridge with the entrance pathway just beyond the bus shelter on the right-hand side. 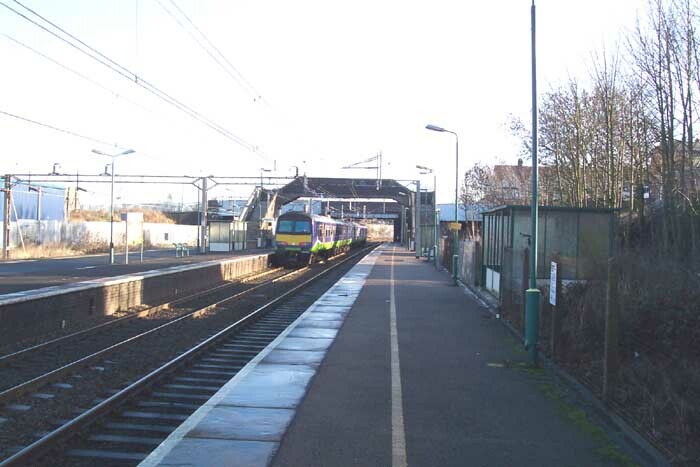 Above-left we are in roughly the same position as the previous shot as a Class 321 hurtles through the station on its way to Coventry. Above-right we are looking at the Coventry platform which now only sees use on the side nearest the camera - the other side being the up relief line which is all but disused. 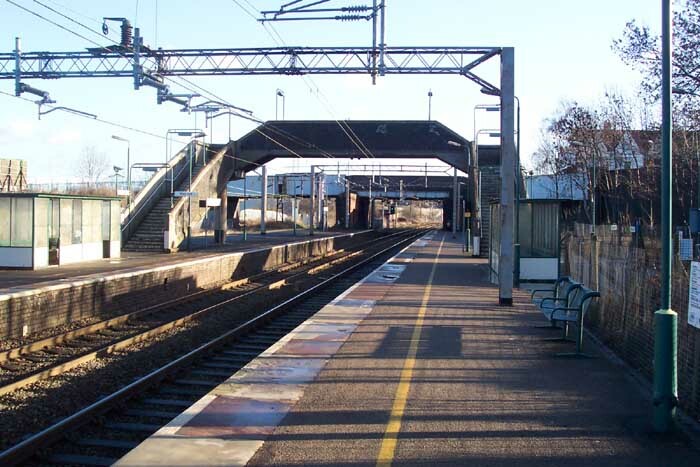 The platform buildings have also been removed from the station - they consiseted of a brick waiting room with flat-canopied roof on the Birmingham platform and a flat conopy on metal pilars plus a brick toilet block on the Coventry platform. Above-left we are on the Birmingham platform with Adderley Park the next and last stop before Birmingham New Street straight ahead. The line branching off to the right leads to Aston and is used primarily for diversionary purposes. 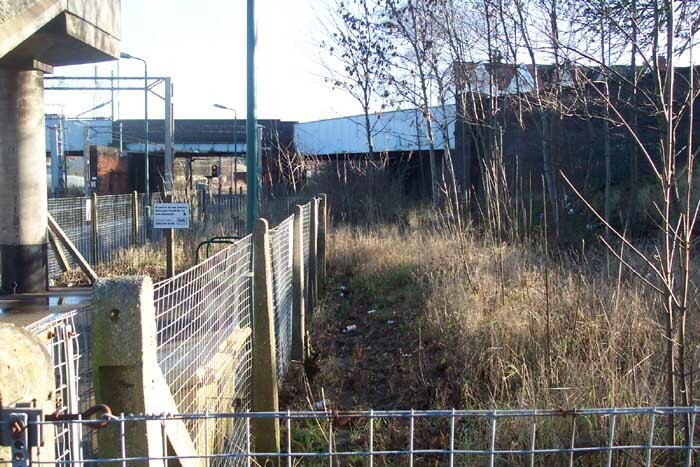 Above-right we have moved forward and to the right from the previous shot and are standing on the entrance pathway to the station (stairs to the booking office to the right) looking along what was the down relief line towards Station Road bridge. Through the bridge used to be Stechford goods yard but this, like the relief lines, has been lifted.